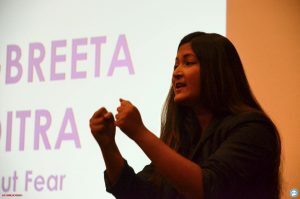 Book Change & Transformation speaker Sangbreeta Moitra for your event! 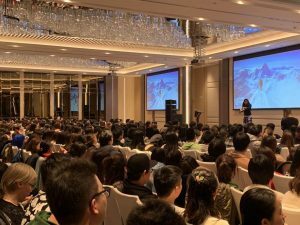 "TOP 10 KEYNOTE SPEAKERS OF 2019"
Passionate. Energetic. Relentless. 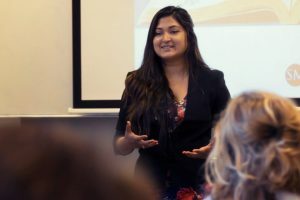 Named among top 10 speakers of 2019 by Events.nl, Sangbreeta Moitra is a world-class award-winning speaker and strategic advisor on decoding change, transformation and human behaviour, to trigger an exponential transformation in performance, results, customer relationships and stakeholder trust. how can sangbreeta help you? Thank you for stopping by! If you’ve got a major conference, event or summit planned and you’re looking for a world-class speaker, here you will find Sangbreeta’s TEDx talks, testimonials and speaking highlights of her most-requested keynotes with her leading trusted clients. Whether you’re an organization in need of a transformational training program, a brand launching a new service, or a company looking to reinvent your customer relationships, Sangbreeta is here to help you transform your purpose, presence, performance and impact. Connect here for a bespoke consultation. Passionate about helping people create a powerful career and live a fulfilling life, Sangbreeta offers executive mentoring for the leaders and shapers of our future. Sign up with Sangbreeta’s global monthly editorial to get regular insights on how you can turn your passion into success.